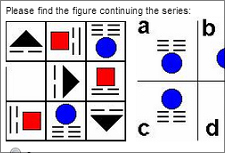 On this website, you will find several small but quite difficult Java games and puzzles that gives your brain a bit of exercise - memorizing images, solving anagrams and answering trivia questions. Most of these games will probably be too hard for the kids, but they can be quite fun for adults! Some of the games can be added to your own website. Arabic , Bahasa Indonesian , Bulgarian , Chinese (simplified) , Croatian , Czech , Danish , Dutch , English , Finnish , French , German , Hebrew , Hindi , Italian , Japanese , Korean , Latvian , Malay , Norwegian , Polish , Portuguese , Romanian , Russian , Slovak , Spanish , Swedish , Thai , Turkish , Vietnamese . i want to learn danish with the help of games.